Everyone loves a pizza (don’t they?) and Macmillan has taken advantage of that to link up with the restaurant chain PizzaExpress to raise awareness of its No One Should Face Cancer Alone campaign, with digital content playing a major part. 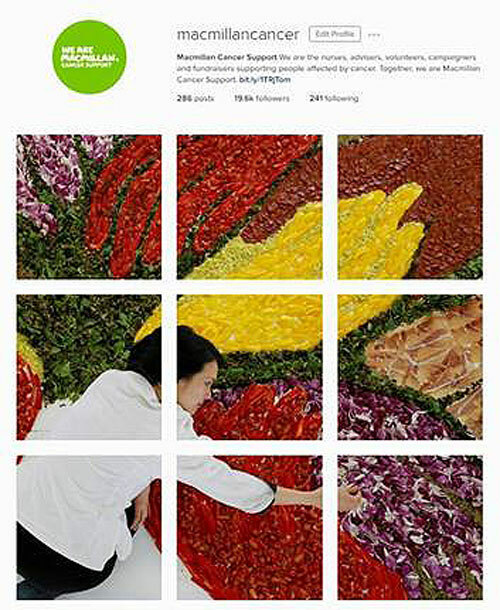 The campaign kicked off on 12 May with a stop-motion video of the food artist Michelle Wibowo creating a huge artwork using only Padana pizza ingredients. The installation took nine hours to create and use 12 pizza toppings, including 6kg of capers, 6.5kg of cherry tomatoes, 4.5kg of yellow peppers and 2.5kg of jalapenos. The image is of hands coming together to signify support through a cancer diagnosis. PizzaExpress has pledged to donate 25p to Macmillan from every Padana pizza sold. Macmillan also took advantage of its latest social media channel – Snapchat – to create a launch story. It first used Snapchat for real-time engagement during last month’s London Marathon. What is the aim of the campaign? The PizzaExpress partnership is part of Macmillan’s major campaign of bringing people together so that no one faces cancer alone. PizzaExpress is not only donating money but is also holding a series of events in restaurants to help provide a comfortable place for people affected by cancer to share their experiences. The Padana donation had been on the chain’s menus since March. Macmillan decided to coincide this latest PR campaign about the partnership with a big fundraising week in restaurants nationwide called Go Mad Go Green. How successful has it been? 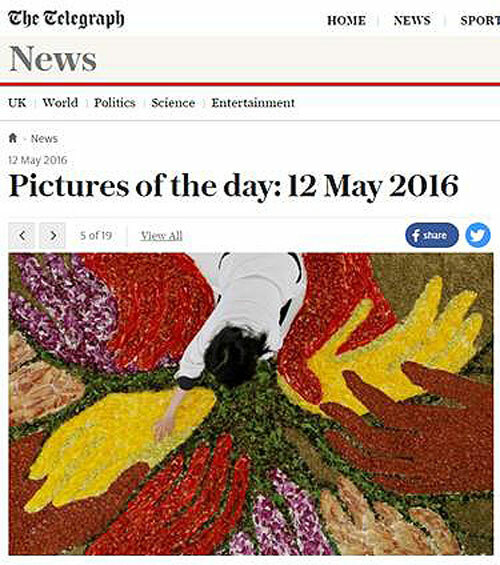 After initial coverage of the video and images of the art food in mainstream media, including the Daily Mirror, The Sun, The Daily Telegraph, UK Fundraising and The Huffington Post, the video has reached more than 90,000 people on Facebook, been viewed 17,000 times, has almost 600 likes and more than 90 shares. Macmillan’s social media campaign has been integrated, using the assets to generate different types of content for Facebook, Twitter, Instagram and Snapchat, as has PizzaExpress’s social output through Instagram and Twitter. As well as awareness, fundraising has played a part in the campaign, and the sale of Padana pizzas has raised more than £73,000 since March. Alice Hajek, social media officer at Macmillan, says the charity made sure it targeted its supporters. "Social media was a primary tool because a large part of our key audience for the partnership is very engaged with both Macmillan’s and PizzaExpress’s social media channels," she says. "We put a lot of thought into how to make the launch content engaging and shareable, particularly on Twitter and Instagram. We also created a launch story on our newest channel, Snapchat, which we recently started using for real-time engagement with the London Marathon. With this multi-platform approach, we were able to tap into specific target audiences and ultimately raise awareness of the important work we are doing." Although the PizzaExpress relationship was already running, Macmillan stepped up another gear with the digital campaign and played directly to its own and the restaurant chain’s sizeable social media audience. Having tried Snapchat during the London Marathon, the charity showed it was prepared to explore new avenues in its efforts to reach new and existing supporters.